The China One sailing team, skippered by former world match racing champion Taylor Canfield, is to compete in the 2016 Extreme Sailing Series. 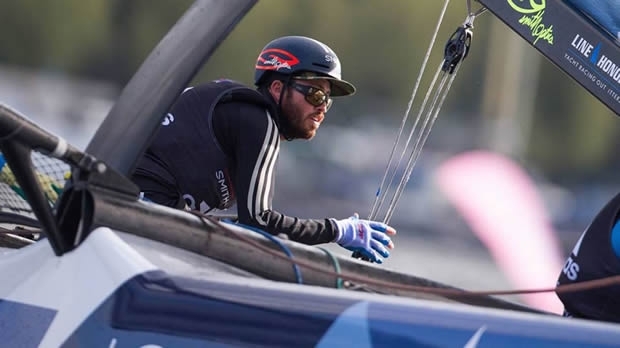 Jointly run by Canfield, sailing team manager Hayden Goodrick and Kiwi America’s Cup veteran Craig Monk, China One joins seven other crews contesting this year’s Series that starts 1 in Muscat on 16 March. The China One team is a new franchise created by the sailors behind the US ONE team and aims to achieve success while looking to develop sailing in China through education and world-class events. The China One team is made up of experienced match-racers with Canfield on the helm, alongside Kiwi tactician and bowman Chris Steele, trimmers Goodrick and Shane Diviney and Australian Luke Payne.